Work to change the landscape in my garden began one year ago tomorrow – and I’ve posted another image of ‘before’. The red ribbon on the tree in the foreground was the marker I used to tell the team that an item was to be left in place – otherwise everything was going to go. During the preceding weeks I’d carefully lifted all the plants I wanted to keep, and now had about 200 ‘treasures’ planted up in pots and safely stored in the gardens of my neighbours either side of me. Their support was very valuable, had I not been able to annex a corner of their gardens for a few weeks, I’m not sure what I would have done. I was also very lucky that there was no hosepipe ban in 2011. I made my way around the garden with my camera – capturing the view I’d lived with for the past 10 years and trying to imagine how it would look when I returned home from work the next day. It was a bit daunting, but overall my feeling was of excitement. 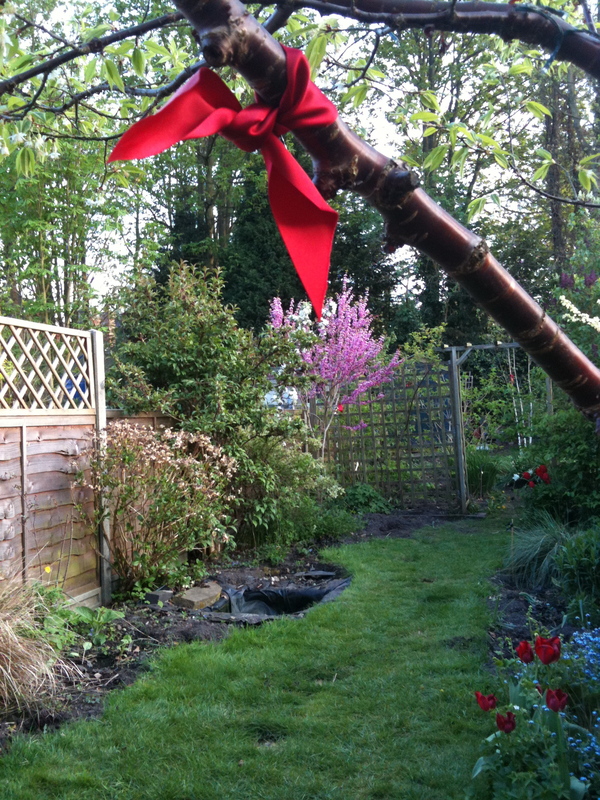 This entry was posted in Creating my garden, In my garden and tagged before, gardening, hosepipe ban, landscape. Bookmark the permalink.